This, I believe is some kind of Saw Fly but as of yet, I have not managed to identify which exact species. I could be wrong, but I would say that's a female thick legged flower beetle... they don't have those really thick legs that the males have. @roachling Thank you Louise, I will have a look when I get home later. 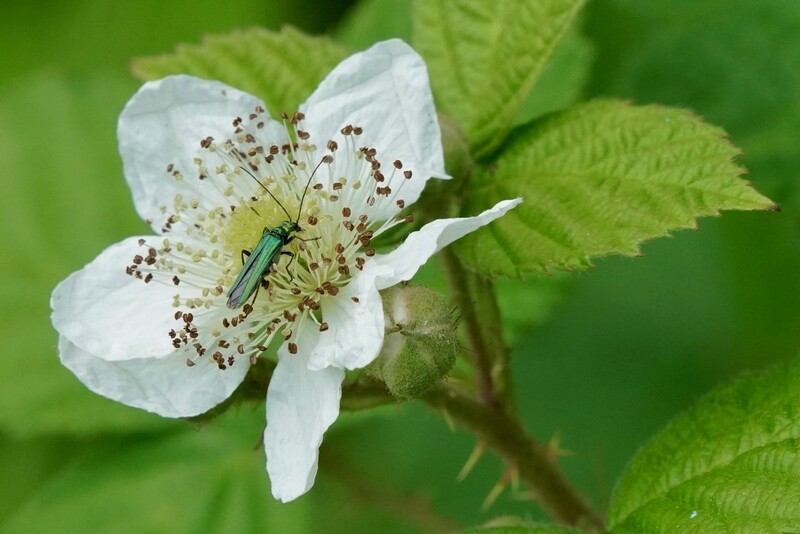 @roachling Thank you again, yes it does look like a female Thick Legged Flower Beetle. Only problem is that I now need to go back and try and find a male one to photograph.